It’s also about leaving your mind open to possibilities and being honest about what you do and don’t know. Curiosity is about exploration—there’s a reason that one of NASA’s Mars rovers is named for this strength. Curiosity is an important aspect of learning because it is a source of motivation. Most kids are naturally curious. 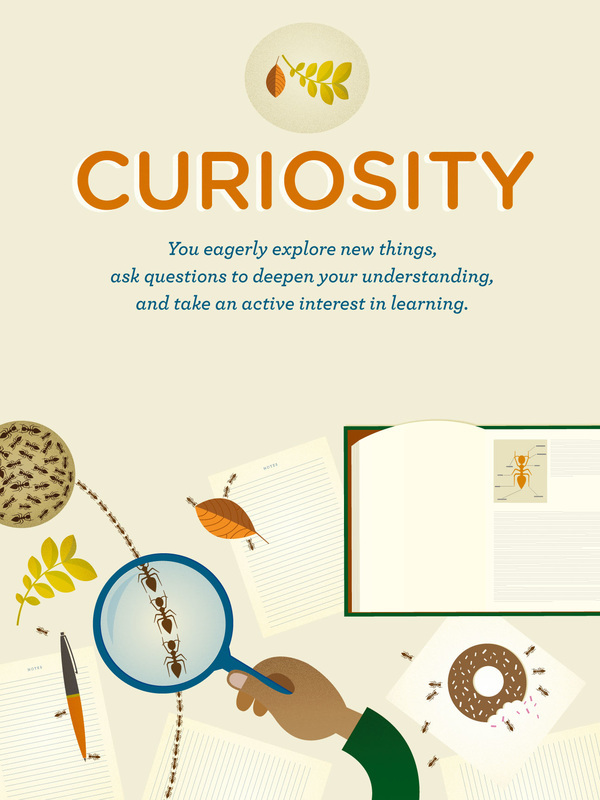 In schools, we can create environments where curiosity is cultivated, supported, and encouraged. Curiosity arises when kids believe there is new information to acquire and that it will be feasible to learn that information.